For the great Russian painter Ivan Ivanovich Shishkin, Valaam served as a kind of school, honing the artist’s unique skill. In these places there were many landscape painters who worked in nature in the summer. However, not only artists drew inspiration here. Valaam visited Tchaikovsky, Mendeleev and other geniuses. 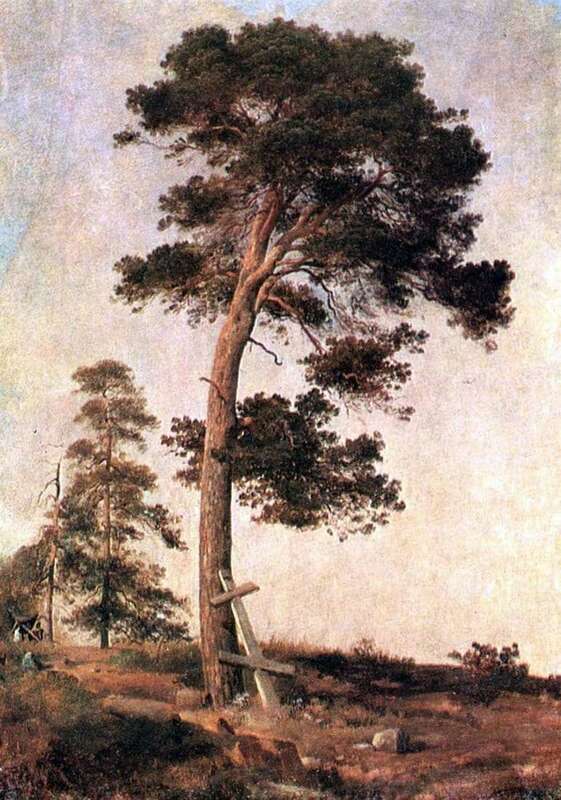 In total, Shishkin depicted 8 etudes that made up his famous “Valaam” series, including “Pine on Valaam”. The artist admired Balaam, not paying attention to the very severe weather. He was interested in the pristine nature of the archipelago, the monumentality of the rocks, and of course, the age-old trees, whose roots permeated the firmament. Even then, the main feature of Ivan Shishkin’s creativity was the depth of perception of nature, a fanatical passion in the image of nature. Every brush stroke, the master’s thoroughness is felt in the girl’s slim as a girl’s pine. At the same time, the artist emphasizes severity – both in the locality and in life in general: many characteristic details testify to this, the brightest of which, of course, is the old cross leaning against a beautiful tree. “Valaam” etudes Shishkin created a furor. Many members of the Academy of Arts declared that they had never seen such etudes written from life, and this was the reason for awarding Shishkin a silver medal. As the master himself wrote ironically – They wanted to give gold, but postponed until March. In the same year, the sovereign and his wife visited Balaam. The monks handed the Empress a much-liked picture of her, which turned out to be Shishkin’s work, and he had previously presented a gift to the monastery.